Creating new life well is a serious responsibility that demands more planning, thought, time, risk, and tears than one might expect. We make data-informed breeding decisions with intention and purpose, always mindful of explicit goals and ethical obligations. We place puppies with families who are committed to giving our intelligent dogs an interesting life, and who value — and will contribute to — data transparency and integrity. If all goes according to plan, we will be breeding Sparkle in Spring 2019. We are looking to maintain Sparkle’s excellent temperament, working ability, and balanced structure while adding some size and further diversifying our pedigrees. We have selected a male who complements Sparkle, has the health clearances we require, a pedigree that promotes and supports things that matter to us (health, longevity, type, etc. ), and who is owned by an ethical breeder who also values transparency and data integrity. 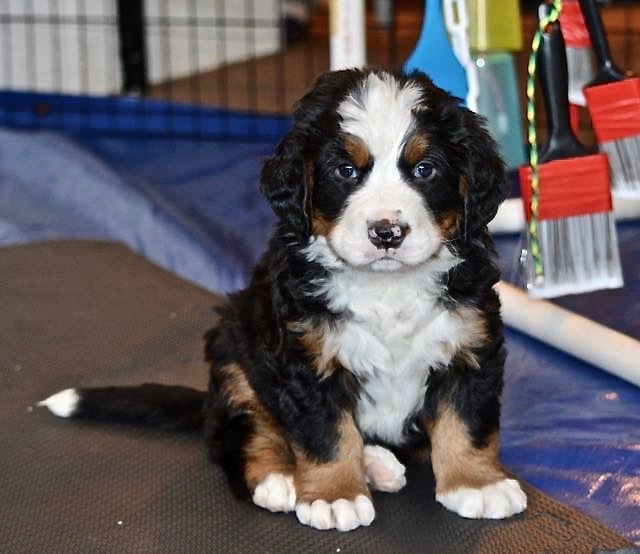 We maintain a loose waiting list of interested people but puppies are ultimately placed based on “goodness of fit” rather than a numerical order on a list. If you would like to find out more about Kaibab Limited Edition Puppies, please use the Contact Us tab on this website.